We’d like to extend to all an invitation to our 2017 AGM, taking place Tuesday October 10th from 7pm to 9:30pm at the Friends Meeting House, Friargate, York YO1 9RL (map). As with last year, the event will be split so we can get all the formal business out of the way quickly. Doors will open at 6:30pm for tea and cake, and the main business meeting will start at 7pm. Non members are welcome, but you can only vote for (and indeed stand for) committee membership and officers if you join on the night! Andy Hunt is visiting us from the other side of the Pennines: a Director of Greater Manchester Community Renewables and Bury Community Hydro as well as Strategy and Partnerships Manager at Oldham Council. 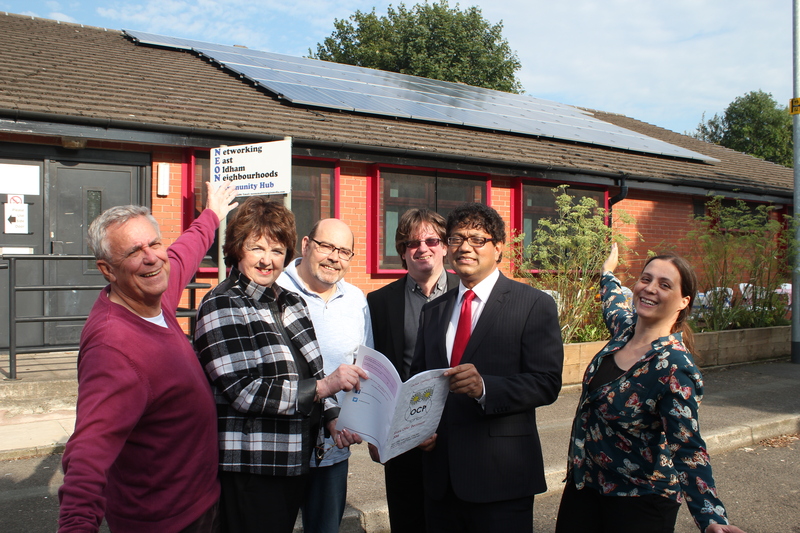 He will introduce us to the work of GMCR, who have 150kWp of community owned solar panels across Greater Manchester, and talk about the new innovations and projects which are emerging to give the Community Energy sector a boost. There are lots of energy projects underway or completed in York that we don’t hear much about! Cllr Andrew Waller, the City of York Council Executive Member for Environment and also the Chair of One Planet York, will bring us up to speed on the Council’s latest projects, including electrification, battery storage and retrofitting. And to kick things off, our chair Richard Lane will review YCE’s year since the last AGM and – fingers crossed – will have some exciting news on our ongoing efforts to bring clean community energy to York! The talks will be followed by a panel Q&A at which you can put your questions about any aspect of community energy to the speakers. The event will once again be ably chaired by our very own Anthony Day, Sustainability Coach. We hope to see you there – either by 7 for the AGM or at 7:30 for the public talks. If you can help us promote the event please feel free to download a poster: in PDF format or in JPEG format and display or distribute them far and wide!